is a large open space to the north of the city centre of Southampton, England. It is bounded by the districts of Shirley, Bassett, Highfield and Portswood. Run by friendly, quality assured coaches at great venues to give you the skills and confidence to get back out there and catching fish. Use of tackle, flies, lures or bait is provided free too. So come on – Get Back Into Angling! 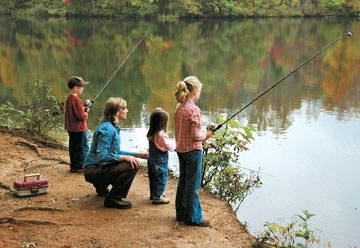 Let's Go Family Fishing events are fun, social & safe fishing days for family groups. Come and try fishing at our quality assured angling events and get into angling. It's a great way to get the whole family out there doing something different and will show kids new skills to learn in the outdoors. Everything you need to catch your first fish or learn more about angling is provided and our friendly volunteers will make you really welcome. So come on – Let's Go Family Fishing! 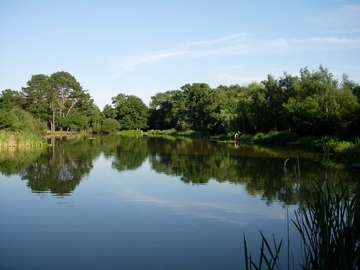 Booking: None required – just turn up, sign-in and get fishing!